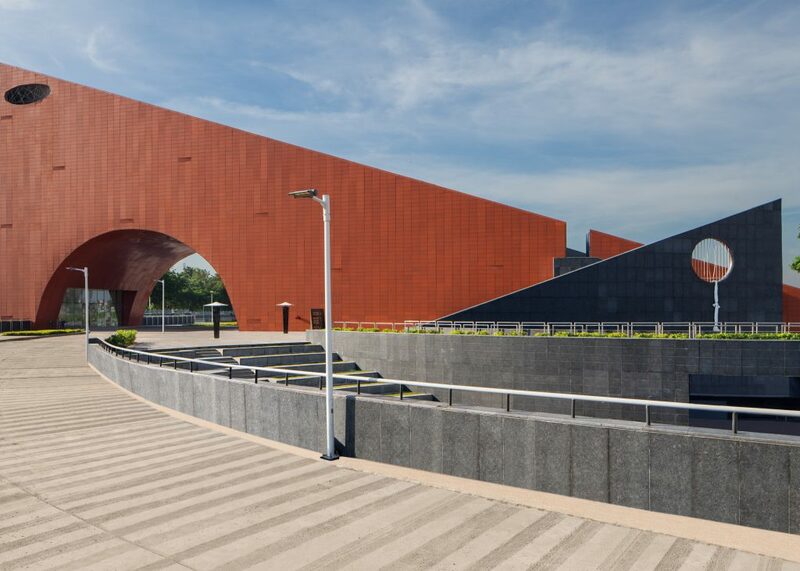 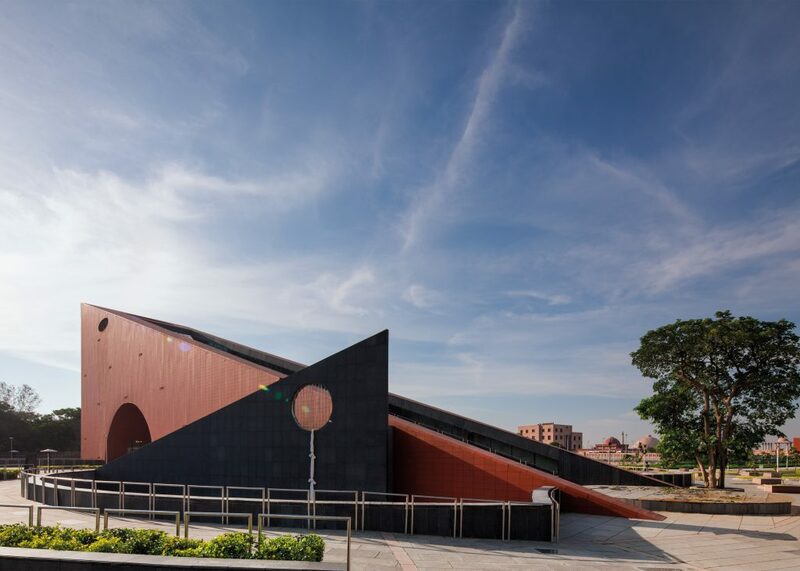 A wedge-shaped museum in Lucknow, India. 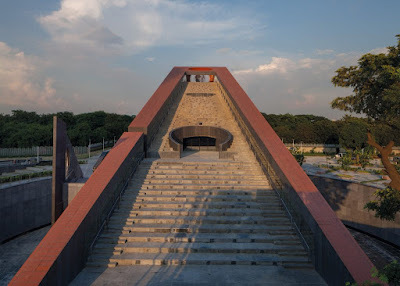 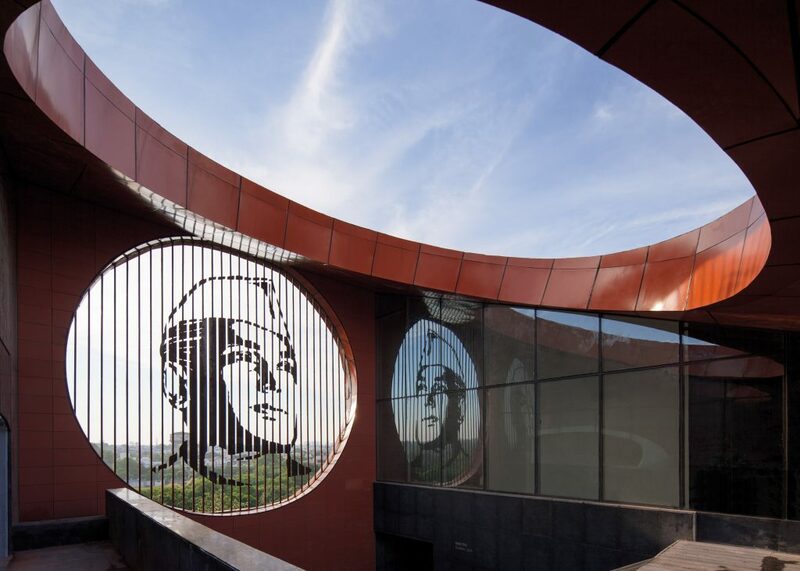 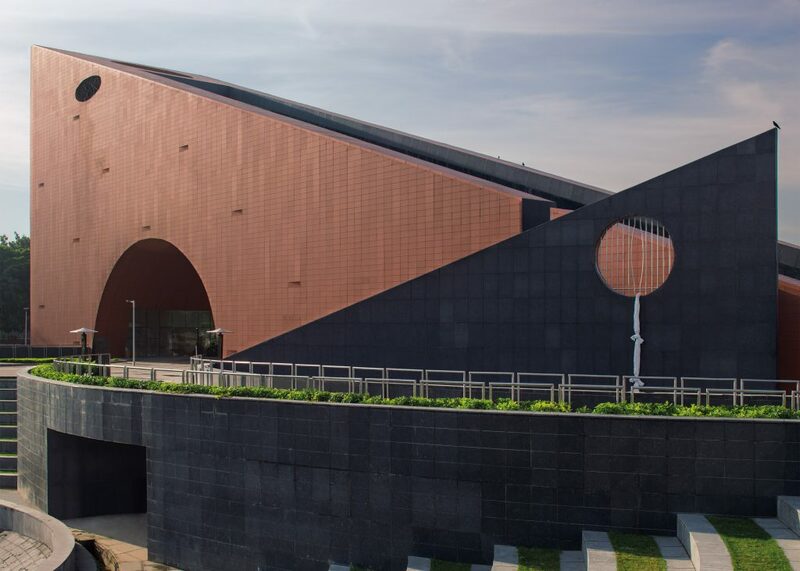 Named Jayaprakash Narayan Interpretation Centre, the building houses a series of exhibitions about the social reformer, best known for leading the opposition to prime minister Indira Gandhi following the Indo-Pakistani War of 1971. 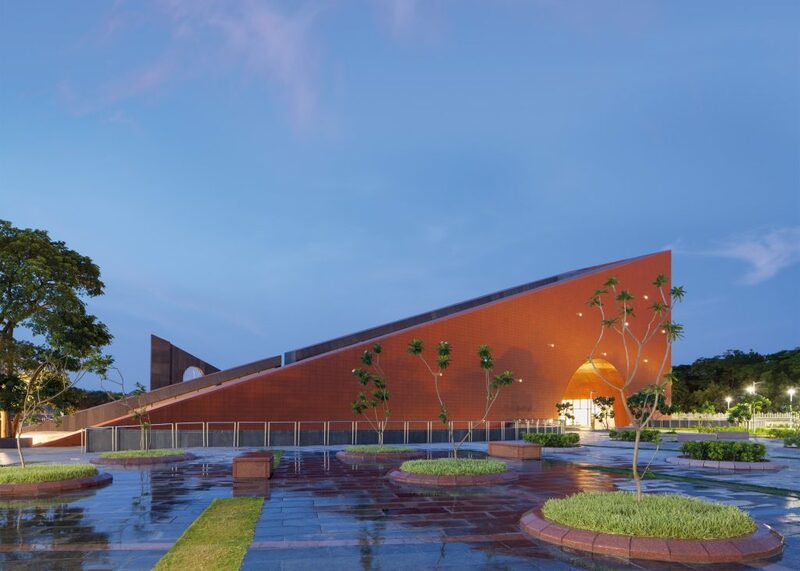 The structure features two triangular facades and a sloping roofline that give it a distinctive slice-shaped form. 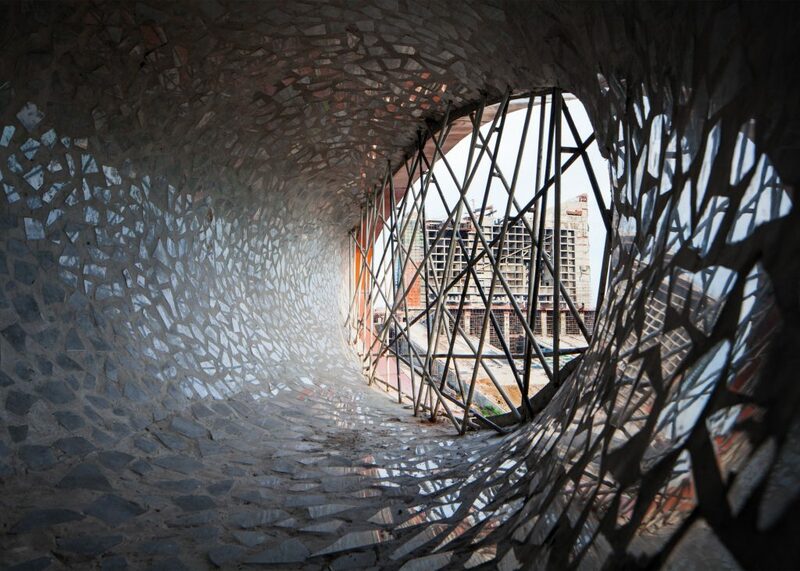 The sloping roof is stepped, allowing visitors to climb to its apex and take in views of the city and an adjacent park.